We performed a systematic review of randomized controlled trials to assess the incidence of urinary tract infection (UTI) and complications of different urinary drainage methods (indwelling urinary catheterization, suprapubic catheterization, and intermittent catheterization.). PubMed, EMBASE, and Cochrane Library were systematically searched from their inception to March 2018. We selected randomized controlled trials (RCTs) comparing at least two of the three possible urinary drainage routes after gynecologic surgery. A meta-analysis was performed using the RevMan software, and a random-effects model was used to pool the effect size. The Grades of Recommendation, Assessment, Development, and Evaluation (GRADE) approach was used to rate the quality of evidence. Fifteen RCTs met eligibility criteria (N = 1607), the meta-analysis indicated that suprapubic drainage was associated with a reduction in the rate of asymptomatic bacteriuria compared with indwelling urinary catheterization [risk ratios (RR) = 0.39, 95% confidence interval (CI): 0.24–0.65, P = 0.0003) but was associated with a higher rate of hematuria (RR = 4.49, 95% CI: 1.16–17.41, P = 0.03). Indwelling urinary catheterization increased the rate of recatheterization compared with suprapubic drainage (RR = 2.95, 95% CI: 1.22–7.11, P = 0.02) and was associated with higher rate of symptomatic UTI compared with intermittent catheterization (RR = 2.79, 95% CI: 1.09–7.14, P = 0.03). No difference was found in other aspects (complication rate and catheter-related pain) among the three drainage routes. 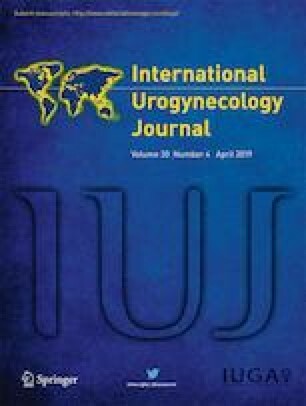 This meta-analysis suggested that suprapubic drainage was superior to indwelling urethral catheterization in reduction of asymptomatic bacteriuria and rate of recatheterization but was associated with higher rate of hematuria. Intermittent catheterization was associated with a reduction in symptomatic UTI compared with indwelling urinary catheterization. More high-quality randomized trials are needed to determine which route is most appropriate for catheterization in patients after gynecologic surgery. Meixuan Li and Liang Yao are co-first author. The authors would like to thank Jinhui Tian, Wenru Shang, Lidong Hu, and all members of Evidence-Based Medicine Center, Lanzhou University, for their help with this study. Kidd EA, Stewart F, Kassis NC et al. Urethral (indwelling or intermittent) or suprapubic routes for short-term catheterisation in hospitalised adults. Cochrane Database Syst Rev. 2015;(12):CD004203. https://doi.org/10.1002/14651858.